To date there are ten employees including myself who have been subjected to various forms of repeated harassing, malicious, cruel and humiliating attempts to undermine us by the same manager, in the same department, in the same facility in southern New Hampshire. Four employees have been terminated while the others have left because of the emotional toll it was taking on their health. Having worked with eight of these wonderful people I can attest to their character, professionalism, skill, loyalty and genuine care for the people in the community. One employee was tormented and terminated after 38 years of service excellence. She was constantly ordered into meetings without any warning or support and subjected to being yell at, intimidated, belittled and routinely threatened with termination. She was humiliated and tormented by words, intonations and attacks on her character even though her work performance and yearly reviews were very good. Another employee from the same department was terminated last week. I was terminated from this department after 28 years of continuous, loyal service to this facility. Like the other employees my evaluations were great, coworkers enjoyed working with me and my patients appreciated all that I did for them. I had received a substantial pay raise 5 months before the torment and bullying began because the management said they " appreciated the years of dedication, professionalism and ability to be a team player. What we all have in common is the fact we were subjected to emotional distress and psychological harassment over a period of time resulting in mental and physical distress. By this managers words, intonations and actions he created an environment that was hostile and offensive. And the documentation about each encounter we had with this bully was twisted, inaccurate and crafted to be so hurtful we were doubting our sanity. . Sadly the administration including Human Resources were aware of the hostile work environment within this department and did nothing to prevent or abate the problem. We begged them for help but were just sent back to the bully for 'conflict resolution" . Stopping workplace violence requires more than mere "conflict resolution". We were offered counseling but only at the hands of this abuser. Workplace violence is an occupational and safety health hazard and addressed by OSHA in their guidelines for preventing workplace violence for healthcare and social service workers. (OSHA 3148-01R2004). I would be interested in knowing the cost of mental and physical ill health that this stress has caused on not only the abused employee but to all the others that witnessed the abuse and were too afraid for their jobs to say anything. I know I ended up in the emergency room with chest pains after a particularly cruel meeting, sought out psychological counseling and took two weeks of short term disability to try and process what was happening to me. Eleven years ago I battled breast cancer with a poor prognosis. I would rather fight that battle again then endure what I did at the hands of this evil man and an administration that turned a deaf ear to our pleas for help. On January 7, 2010 a legislature from Hinsdale, New Hampshire proposed legislation (House Bill 1403) designed to provide legal protection for workers subjected to an abusive and hostile work environment. Several of us who were negatively impacted by this cruel and evil manager shared our experiences before the House Labor, Industrial and Rehabilitative Services Committee in Concord, NH. Sadly the proposed bill went no farther. Hopefully with public awareness, a new administration and claims of abuse causing medical malpractice to soar due to bullying employees and patient injury we can say that bullying in the workplace is wrong financially and morally. It shouldn't hurt to go to work. 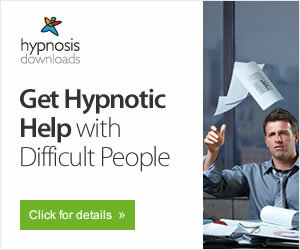 I found a wonderful website that is designed for employees that have been bullied. healthyworkplacebill.org. This site is designed for bullied individuals to help educate in hopes of making a difference in your health ,and, in return, your life. What is it about managers in health that they can literally get away with murder? Is it because they have access to unlimited legal resources paid by the government because the govt can be sued because of their behaviour. 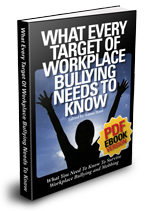 In 2002 France legislated against work place bullying, bullies can even go to prison. Bullying is a form of grevious bodily harm. The mind being the brain being the body. It should be a criminal offence because bullying leads to homicide and suicide. I'm in the process of trying to get a claim against my employer accepted by the Australian government's insurance company for Australian employers, with a primary psychiatric injury from working as an occupational therapist for the government. If my claim is not accepted then I can not sue this employer for destroying my health, career and my life with PTSD. By the end of this week I should know whether I am vindicated or further victimised. Good luck with your case, maybe you and the others can file a legal class action via legal-aid for employer negligence. Think, remember, write down everything even if it exhausts and distresses you. Contact your former colleagues, set up a group. Fight, it's your life, reputation, career, family. Don't let a thug take it from you.